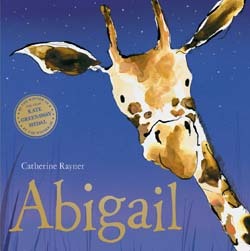 Animals reign in children's literature. Animal characters who talk with other animals are similar to humans who interact with each other. Whether animals teach numbers, colors, or lessons of morality, they are the perfect means to express concepts in an amusing and entertaining way. Humor and laughter are essential to life. 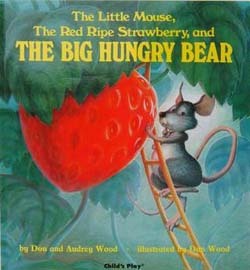 They keep things in balance and refresh the mind, and add another dimension to the pleasure found in children’s books. Life is sometimes so serious that the value of humor and nonsense is forgotten and not shared nearly enough with children. 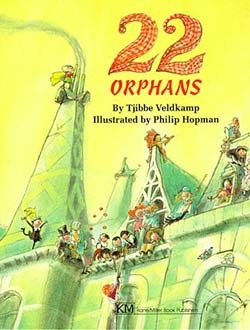 Illustrated storybooks for older children tend to be longer than most picture books but shorter than novels. It’s not only the length that separates these books, but it’s more a matter of content. 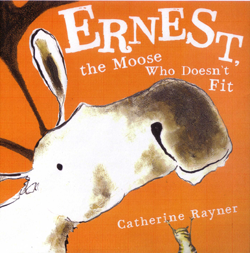 They have more complex stories with a kind of sophistication that is beyond younger children. Facts, date, names and places are usually too dry for children. However, children do have an interest in the past when the focus is on people and how they lived. The everyday details of how adults and children worked, played, dressed, and lived makes for a compelling story. When history is presented this way, kids can better connect with the past in significant ways. Good books contain heroes and role models to imitate. Children need to hear about people who contribute something of value to other’s lives, people who make hard decisions and have the courage to overcome adversity. 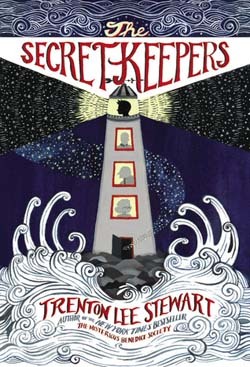 Mysteries have special page-turner appeal for teens. These books are built on action and suspense, and less on character development. Many adult readers acknowledge that this is where their love affair with books began. The Dog Days of summer are here, and what better time than this to relax with stories full of laughter, mystery, fun, adventure, and suspense & intrigue for teens. Books are not a substitute for life, but a greater life can be experienced because of them. 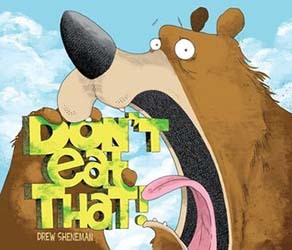 A young girl discovers many obstacles when she tries to help a lost bear find food. Dropped off by the City Zoo Animal Transport, the hungry bear hasn’t a clue how to function in the woods. Determined to earn her nature merit badge, Gertie watches Bear forage for food. Preventing him from eating a rock (“What were you thinking?”), herself (“That would be terribly rude.”), a skunk (“You’ll regret it.”), dirt, clouds, and pinecones, Gertie declares him hopeless after he shreds her guidebook. Upon hearing his tummy grumbling, she decides to work with new ideas involving berries, bees, and fishing (he can’t swim.) As a way of thanks, Bear picks her a flower and she announces, “It’s my favorite merit badge yet!” Walking hand in hand to the scout campsite, she tells him about s’mores and smoothies—“My favorite is strawberry banana. It’s Berry appealing. Get it?” With messages of friendship and teamwork, kids will love the silly puns, the adorable, clueless bear, and a little girl’s determination to help. HOW DO DINOSAUARS CHOOSE THEIR PETS? Mischievous dinosaur children consider how to choose a pet in this cute installment of Jane Yolen’s dinosaur series. “Does he head to the zoo / and take home a big cat? / (And what does his mom / have to say about that? )” In rhyme, choices are considered involving an elephant, boa constrictor, zebra, kangaroo, and even a dragon. Readers and dinosaurs are taught better ways to choose a pet involving pet stores, shelters, or farms for bringing home bunnies, kittens, hamsters or puppies, and teaching them manners, giving love, and providing lots of hugs as they both grow up. 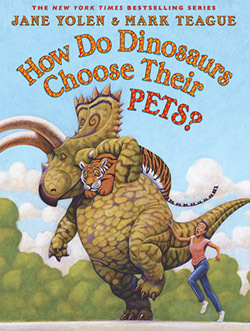 Little dinosaur lovers will enjoy the lesser known dinosaurs which are featured on the inside covers with their pets. This Duck and That Duck are great friends, but This Duck realizes that other ducks should be around to waddle in a line with them. “Two is not a line. Two is a follow. A line is better. 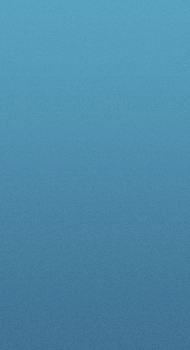 A Line is more ducky. We need other ducks for that.” When they come upon a pond, they see their reflections and assume other ducks are in the water. However, the ducks are always upside down, never waddle behind them, and disappear when it rains. As autumn approaches their feathers begin to itch and they join other “birdy-birds” flying south, only to realize that they have found the other ducks. The following spring, This duck and That Duck return to the pond with four adorable ducklings waddling behind them. 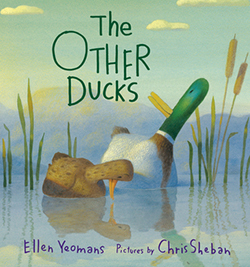 Always curious, That Duck asks why they are so small, and This Duck replies “It’s the way everything starts.” Sweet, silly, and daffy, kids will enjoy this life-of-a-duck tale from a duck’s point of view. “Hoot was Olive’s very best friend in the whole wide world. But as you know, best friends don’t always like the same things.” While Olive prefers adventures in books, Hoot, a chubby stuffed owl, prefers the real thing. 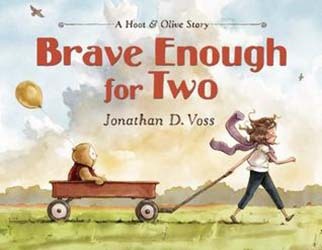 Hoot declares that he has a surprise adventure for Olive, and promises to be brave enough for both of them. When he leads them to a make-shift hot-air balloon and flies them over rooftops and treetops, a storm comes up making for a bumpy landing. The balloon’s basket then becomes a speedy boat, bobbing over rocks and waves until crashing on a shore, where Hoot discovers a rip in his stuffing. Leading them both safely home, Olive declares that she is brave enough for both of them. Applying a patch to Hoot’s rip, they settle down for a bedtime story read by Olive. “‘I was afraid today… But you were brave. And you kept me safe,’ says Hoot. 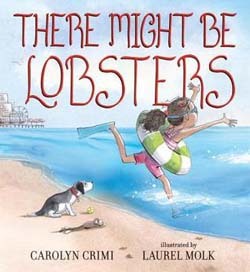 ‘Don’t ever be afraid,’ Olive replies, ‘I’ll always keep you safe.’” With enchanting illustrations, kids and readers will love this memorable tale of friendship, taking chances, bravery, and protectiveness. It’s a little known fact that, “before e-mail and texting, clicking and sending, mail was delivered in a much different way. A much s l o w w w w w w w w w e r way. 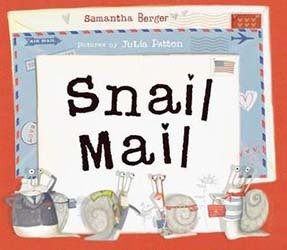 It was called Snail Mail.” When a little girl in Los Angeles sends a letter to a little boy in New York City, she chooses this mode of transportation, and four unusual snails are assigned to deliver it. Determined, ready, and able, Dale Snail, Gail Snail, Colonel McHale Snail, and Umberto slowly slither their way across the country with their motto: “Neither rain, nor snow, nor heat, nor hail will stop a snail from bringing the mail.” As they travel through deserts, canyons, and mountains, over the country’s heartland (catching a ride from sparrows), and on to New York, they considered their slow progress special, because the country was such an amazing place to see. With the letter safely delivered, they are congratulated by the United States Snail Mail Office and presented with gold medals for a job well done. Of course, they return home via the recently purchased Snail Mail Airlines. Kids will love the perseverance of dedicated mail carriers, the celebration of America’s splendor, and power of handwritten letters. Hilarious fun and slap stick comedy abound when two dogs, Waldo and Sassy, realize that their boy, Stewart, has school problems. Deciding to rescue him, they pose as a new student at the Bea Arthur Memorial Elementary School and Learning Commons. 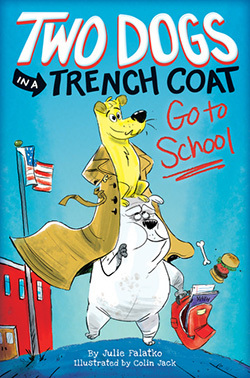 Disguised in an old trench coat with Sassy on the bottom and Waldo on top her shoulders, they walk to school where Waldo registers them for Stewart’s class as Salty Woofadogington from Liver, Ohio (Waldo speaks human which he learned from a video). Turns out they love school, Stewart’s teacher, the class skeleton, the cafeteria, Sloppy Joes, playing Frisbee, and music class. When they realize that Stewart doesn’t have a topic for a project due the next day, the well-meaning dogs suggest squirrels. The resulting chaos surrounding Stewart’s presentation will have kids reeling with laughter. Black and white illustrations are found on the majority of pages with the dog’s favorite food (just about everything) in bold throughout the story. Anyone with a sense of humor will love this first tale of two wacky dogs and their boy. "A wish is many things. It is hope and desire and daydreams. It is impossibility and improbability and something in between. It is stardust and well water and spectrums of light in the sky. It is half-melted birthday candles and Christmas lists. It is broken turkey bones. It is the willing suspension of disbelief. And sometimes it is desperation." Ophelia Delphinium Fidgets is a wish-granting fairy, but has never been chosen to venture out into the world and grant a wish made by a human. 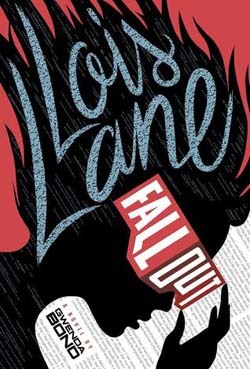 When she is tasked with granting 13-year-old Kasarah Quinn’s wish for a new bicycle (old one was stolen), Ophelia knows that she is perfect for the assignment. With a backpack full of supplies and orders to adhere to regulations, Ophelia’s mission becomes complicated with unexpected airplanes, geese, brooms, hawks, trucks, a broken wing, and difficult choices. 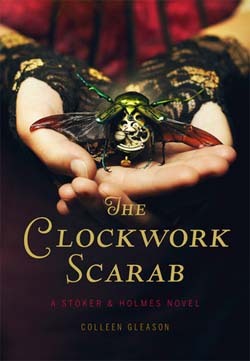 When the nickel Kasarah wished upon goes missing and winds up in the possession of a young boy, who makes a wish for his father’s return from Iraq, Ophelia must decide which wish is more important. 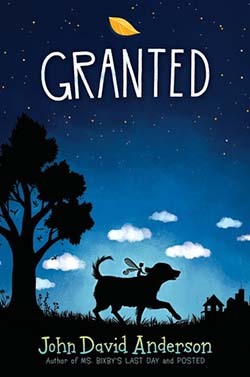 With the help of a pink-haired fairy friend and a loveable abandoned dog, Ophelia remembers the first rule of wish-granting: “Honor no wish that would lead to misery, misfortune, or malefaction.” Readers will love this small, determined fairy and a dog who decides to follow her because she is broken and lost. 11-year-old Jordie Wallace’s life suddenly changes when a science professor and her shaggy dog move in next door. 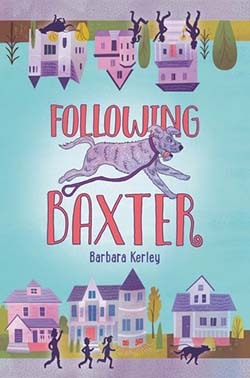 Having always wanted a dog, Jordie volunteers to walk Baxter, while Professor Reese works in her basement on teleportation. 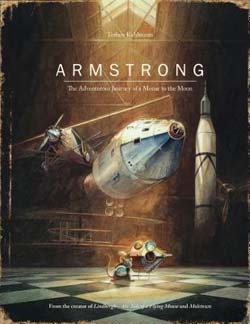 When the Professor disappears, Jordie and her brother TJ, now lab assistants, think that she has transported herself somewhere in the world. 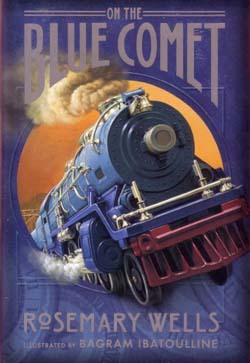 They believe her disappearance surrounds the problematic laboratory teleporter, and begin to piece together problems from previous teleportations, use map coordinates and computer latitudes, send her food and a cell phone through the teleporter, and discover the connection to Baxter’s microchip. Kids will love this sweet and charming story of a young girl, a quirky professor, and a magical dog. written by James Ponti, (Aladdin, $16.99, 2016. 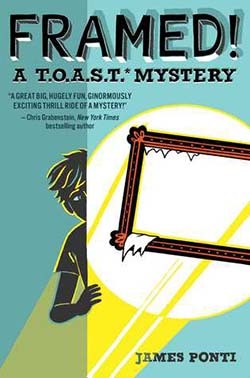 Having recently moved to Washington D.C. with his parents, seventh-grader Florian Bates uses his observation skills of T.O.A.S.T (Theory of All Small Things) to help recover three masterpieces that were stolen from the National Gallery of Art, where his mother works. When the FBI asks for further help, Florian discovers a fourth theft at the Gallery, which leads to a European Crime Syndicate. When a new friend, Margaret, asks him to investigate the mysterious circumstances of her adoption, they create their own FBI—Florian Bates Investigation. 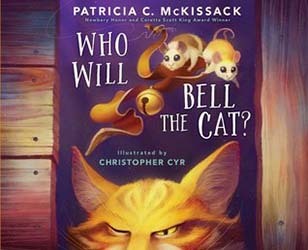 This tightly woven, well crafted mystery surrounding a smart, funny, and unusual 12-year-old will have readers considering their own observation skills and looking forward to a sequel. On a wintery night in Washington D.C. a 12-year-old boy is found sitting alone on a bench at the National Gallery of Art unable to remember anything. The police turn Art over to an emergency foster care mother and her 10-year-old daughter, Camille. As his memory slowly returns, it soon becomes apparent that he has knowledge of one of the greatest art frauds in history. As Art and Camille stay one step ahead of criminal’s, they piece together a clever scheme involving the sale of a forged van Gogh painting to the gallery for $183,000,000. 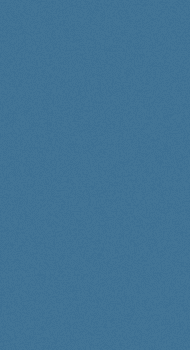 It turns out that Art has the only piece of information that will stop the sale. 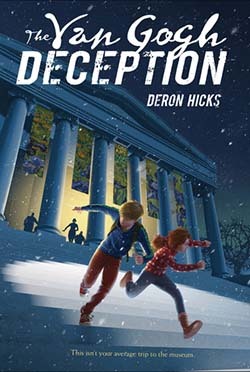 Not only will kids will enjoy this exciting mystery romp, including high speed chases, secret museum passages, clever devices to avoid the kidnappers, and the mysterious “spider,” they may just develop a better appreciation of art. QR scanner codes are found throughout the book to allow readers with access to smartphones or tablets to view various artwork featured in the story. In 1943 Michael O’Shaunessey, 13-year-old son of the Irish ambassador to Germany, is a spy for the Allies during World War II. With his flawless German and photographic memory, Michael joins the Hitler Youth to infiltrate Nazi hierarchy and access information that will assist his parents in spying for the Allies. 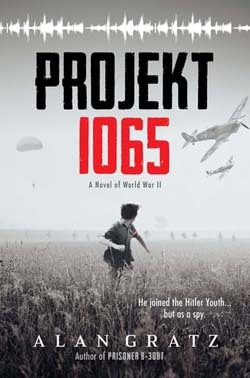 When Michael rescues a downed British pilot, he is alerted to the existence of Projekt 1065, a new Nazi warplane with no propellers. Upon discovering that his classmate’s father is the designer of the plane, Michael is given access to the blueprints. In a complex coming-of-age drama of friendship, loyalty, espionage, and betrayal, Michael experiences tough choices and moral dilemmas. The author’s note gives background information on the Hitler Youth organization, Nazi’s use of children to fight the war, their rehabilitation after the war, the real Projekt 1065, Operation Paperclip, the Manhattan Project, and Ireland’s neutrality. Kids will find themselves on the edge of their seats in this action-packed adventure. 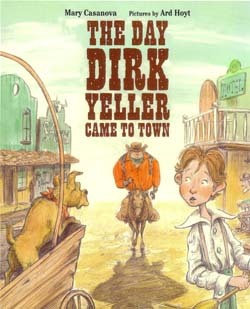 At the age of twelve, Drew Carter’s father, a member of a Special Forces unit, dies in action. Since then, tragedy and heartache seem to follow Drew from one school to another. Over the years his father’s best friend and fellow soldier, Jake Blanchard, helps Drew through his grief, takes him on camping trips, and eventually teaches him combat training. When college offers Drew a chance to start over, a physics experiment explodes leaving him blind and his high school friend, Ben, missing. 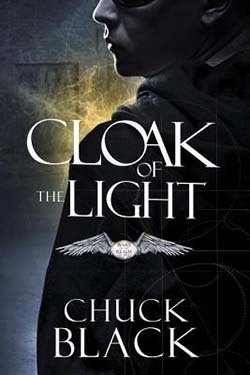 After his sight miraculously returns, Drew discovers he has skills and sight beyond the normal and can observe what he calls invaders influencing humans for good or evil. When Drew begins to question his sanity, he remembers his father’s advice: “It’s wrong to do nothing when you have the power to do something.” Determined to thwart the invaders, Drew moves to the inner-city of Chicago, locates Ben, discovers a long lost love Sydney, and protects his neighborhood from a local gang, earning him the nickname of “The Guardian,” but brings him to the attention of the FBI. Teens will enjoy this first book in the Wars of the Realm series containing humor, heartache, suspense, action, a touch of romance, and an insight to the real spiritual battle between angels and demons. Recovering from a fatal military accident, 18-year-old Gideon Blake miraculously returns to life with special powers, a strange red cuff, magical weapons, a fiery horse, and a destiny beyond his wildest dreams. He is now War, one of four manifestations of the legendary Horsemen of the Apocalypse found in the Bible. Together with three others (Sebastian as Famine, Marcus as Death, and Jode as Conquest), they learn to work with their different personalities and backgrounds, and manage mystical weapons, powers, and magical horses. “Out of the fog came the most stunning thing I’d ever seen… A massive horse, almost as wide as my Jeep, coming at a full gallop… I couldn’t be sure, but its coat was a bizarre red color like blood from a deep cut, but bright… Even stranger were the flashes of gold and yellow on its hooves and mane. Flashes that looked like flames.” Led by a girl with a mysterious key, Gideon, Sebastian, Marcus and Jode ride forth to fight the evil Kindred, seven former followers of Satan, who seeks to destroy the good in humanity, establish their own realm, and create slaves of mankind. Told by Gideon in flashbacks, he struggles to convince the government that the world is in imminent danger. 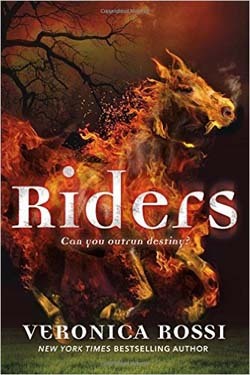 The first book in a duology, teens will enjoy this action-packed, sometimes intense tale with its intriguing characters, magnificent horses and weapons, a bit of romance, and a quest to save the world from evil. The final installment cannot come too soon.